Follow Hagerstown Speedway on Twitter. Click here to sign up and follow us. Take I-70 West to Exit #24, look for directional sign on ramp, follow to the right on Route 63 North 2 miles to light at Huyetts crossroads, turn left onto Route 40 West. The Speedway is 2 miles on your right. Take I-70 East to Clear Spring's Exit #18, look for directional sign on ramp, turn left follow Route 68 North (1/2 mile), turn right onto Route 40 East. The Speedway is 2 miles on your left, just past the Conococheague Creek Bridge. Take I-81 South to Exit #6B, Route 40 West. The Speedway is 4 miles on your right. Take I-81 North to Exit #6B, Route 40 West. The Speedway is 4 miles on your right. INSIDE THE GATES BY SPECTATORS, OR IN THE PIT AREA. Small Coolers (approx 14 inches or smaller) permitted with the exception of Monster Truck Week. No Alcoholic Beverages can be brought inside the gates or taken outside the gates. All tickets from the postponed events will be good for $_(paid ticket price) towards the purchase of another ticket for up to 18 months to 2 years depending on the event postponed. There will be NO CASH REFUNDS in any case. WELCOME DRIVERS, CREW, AND FAMILIES TO THE NEWEST AND CLOSEST HOTEL TO THE SPEEDWAY, LOCATED JUST 5 MINUTES FROM THE SPEEDWAYJust off of I-70 Exit 18 at 12426 Houck Avenue, Clear Spring MD. Just minutes from the speedway on Route 40 East. Turn left out of the speedway, follow Route 40 through town. 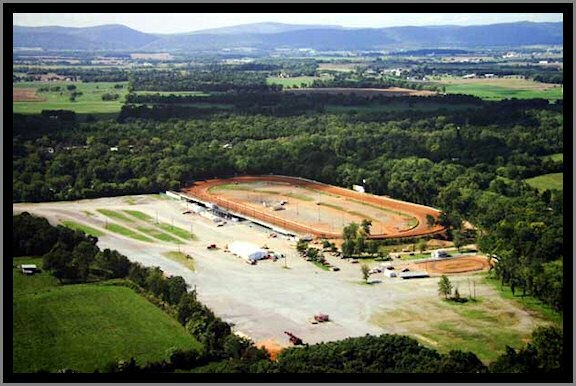 Ask for Hagerstown Speedway Discount Rate. Camping is permitted on the grounds in the designated areas. There are NO facilities or hook ups available. Self contained units are recommended. There is no fee for camping.